Scott Gregory will play on the European Tour for the first time in his career next season. 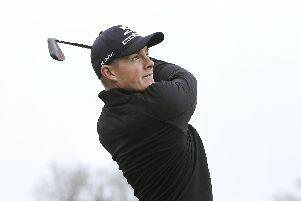 The Waterlooville golfer finished inside the top 25 on the final Q School leaderboard - ensuring he will compete alongside the sport's best in 2019. Gregory, who competed at the US Open earlier this year and last year’s Masters, shot a two-under par 69 on his final round at Spain's Lumine Golf Club to end the competition 12th overall. 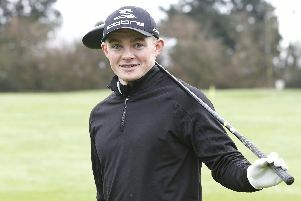 The Corhampton Golf Club ace posted a 19-under (409) score for his six rounds of competition. Gregory took to Twitter after securing his place on the European Tour. Posting on his official account, @ScottGregory5, he said: ‘For the people who said I should learn my trade at the Tower Bridge.. I'll learn it on the European Tour if that's okay? The 24-year-old was the highest-placed English player on the card, ending six places above Daniel Gavins - who also secured his spot on the European Tour. Spain’s Alejandro Canizares was the overall winner, scoring 24-under.